The RTX 2060 is the fourth card to join the RTX-20 family. While you may think of this graphics card as the successor to the GTX 1060, it’s more comparable to the GTX 1070 or even GTX 1070 Ti. 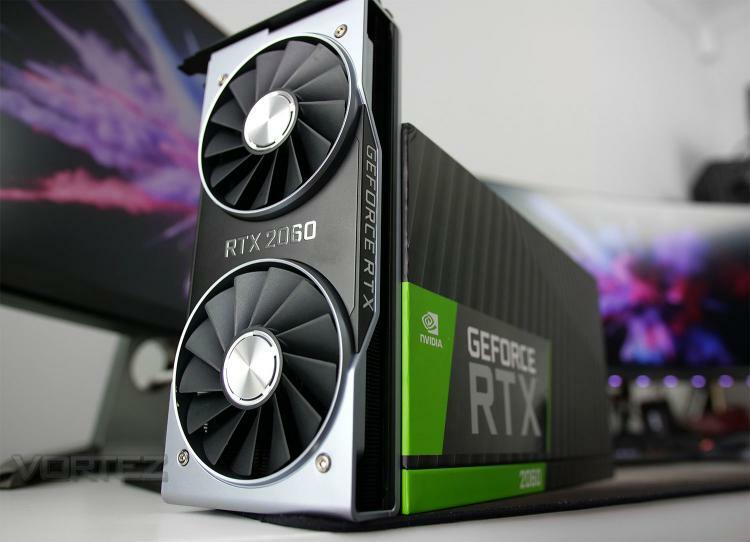 The RTX 2060 may be the lowest spec offering in the lineup, but it’s still able to serve up true next-gen features which we first saw introduced months ago – including real-time ray tracing and AI rendering at hardware level. Whereas the RTX 2070, RTX 2080 and RTX 2080 Ti dealt with UHD, the RTX 2060’s forte is 1080p/1440p and is therefore likely to appeal to a large number of gamers settling for the more common desktop resolution. Taking centre stage for the Founders Edition is the newly reengineered vapour chamber which takes advantage of a double-cooling fan configuration. A two tone theme with RGB LED lighting will certainly appeal to gamers, but will the specifications and reference frequencies be enough to warrant an upgrade?